Remember the old magazine ads with sketches of the figures? How many of them did you trace with light paper to sketch over top of with your own character creations in the lunchroom at school? 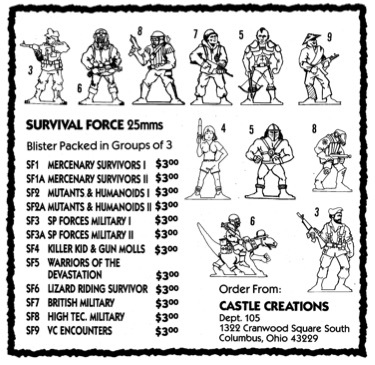 > still got many of original Ral Partha figures, too!